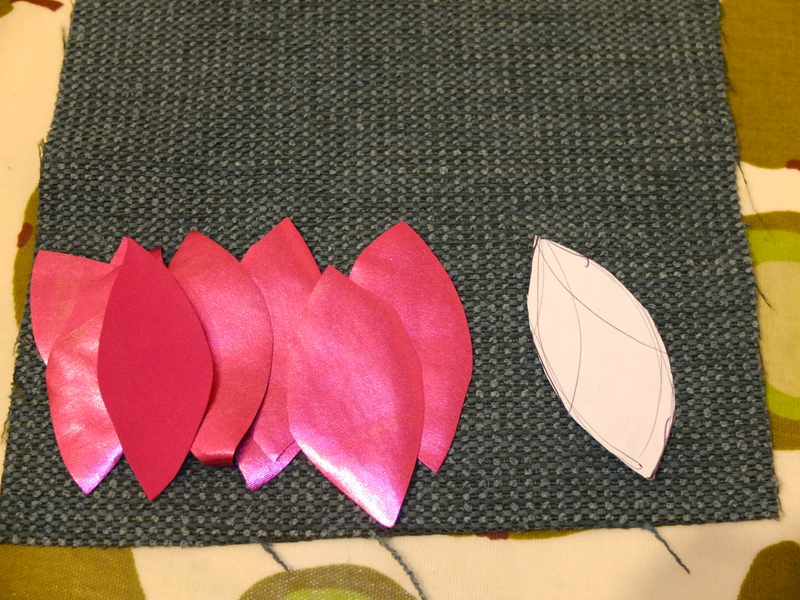 What’s that you say, I might be getting a teensy bit obsessed with making Erin’s Presido pattern. This was the leverage he used to get me to make him some trousers (the bag was finished first but it only just made it to it’s recipient so I didn’t blog it sooner). 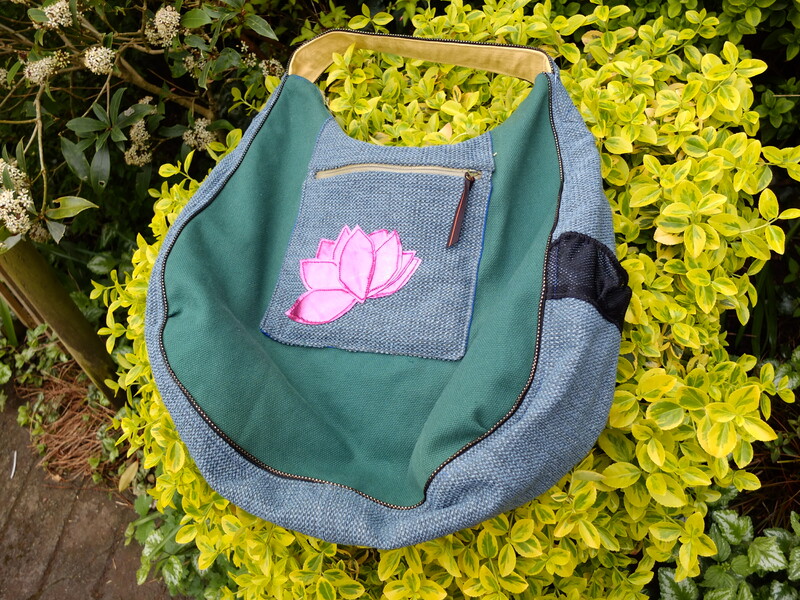 There’s not much more to say on the pattern, this one has the pocket on the outside like last time and I used some more scraps from that dress to make a lotus flower applique decoration, because I thought it would go down well with the recipient. 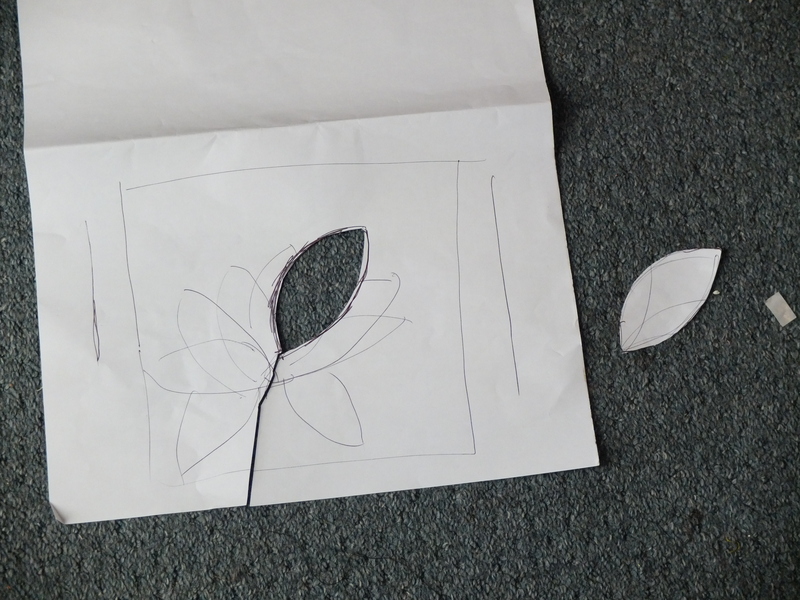 After trying out arranging the petals I realised that you could pretty much do anything with them and it ended up looking like a lotus flower. So I just went for it. The fabric doesn’t fray so I just used a straight stitch, much quicker. I’m pretty pleased with the result, although slightly less pleased that in my enthusiasm I sewed it on lopsided, but I decided to call it a design feature. 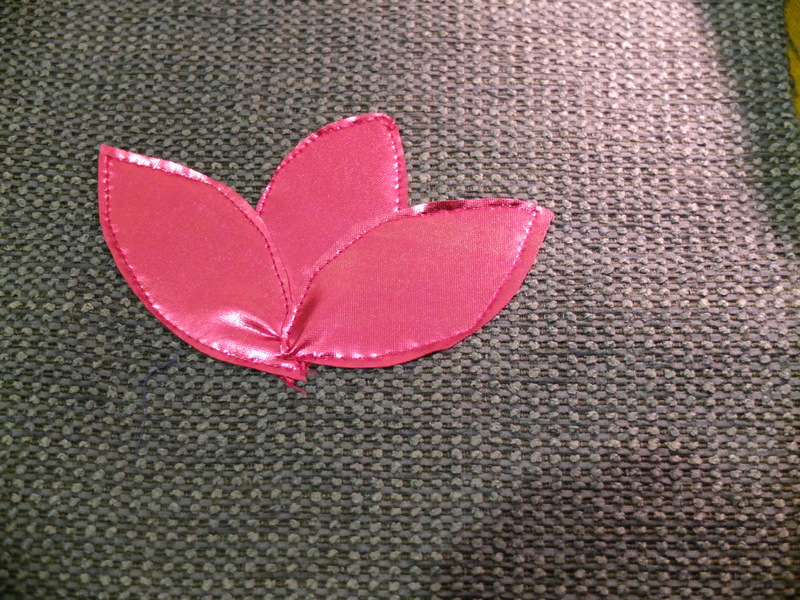 Also, don’t look too closely at the applique, some of my petals aren’t sewn on as neat as they could be. The greeney fabrics are all upholstery remnants from my stash bought for bag making at some point. The lining is part of a remnant of the fabric my mum just used to recover her sofa cushions that I had to wrestle off her. The zips are recylced from a worn out coat of my husbands. Speaking of zips, the main zip on this was a complete pain. I don’t think using two such thick fabrics helped (my previous linings have all been thinner but I wanted to use something sunny for this one and that was the obvious fabric choice), plus I think I was getting a little blase at remembering to read and follow the instructions after all the times I’ve made the pattern and I ended up sewing the zip on too close to the edge. It looked great, but it kept sticking. I unpicked my top stitching, (which was hard work as the thread matched so perfectly) and pressed out a few wrinkles in the lining around the zip, tacked it by hand, pressed again and re topstitched it. It’s a lot better now but far from perfect, but I honestly didn’t think I could do all the unpicking needed to reinsert the zip without damaging the fabric, unpicking one of the bag handles alone would have been enough of a job. Also it’s a usable bag without a zip, so hey. (Needless to say it took a while of the bag being left on the shelf while I sulked in between steps before I reached this conculsion). All my pockets were made from remnants that I had lying about. I put a small pocket inside the zip pocket as per Erin’s instructions. I made a simple rectangular pocket for the inside too. And I tried making a pocket on the side out of some mesh from the lining of hubby’s coat which has elastic at the top to pull it in. The idea was a kind of meshey outside pocket you could put the wrappers and used tissues that come from being out and about with children in, until you reach a bin. The idea is good, but my mesh scrap was the wrong shape so the pocket is pretty shallow and the elastic didn’t work as well as I wanted. Hey ho. All in all, I’m pretty pleased with this bag too and the only thing I purchased to make it was the flanged piping (which I’m getting pretty adicted too). 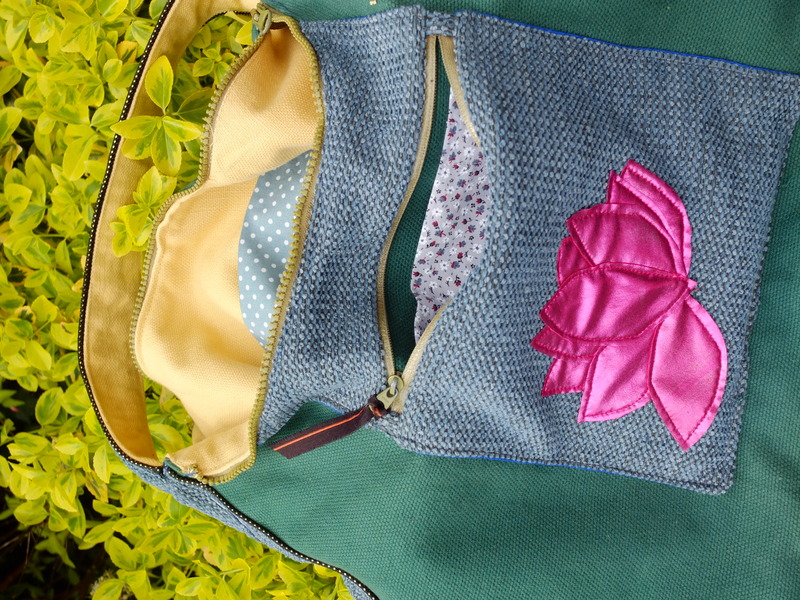 This entry was posted in Uncategorized and tagged bag, Presido, purse, reuse, stash, tote, upcycle. Bookmark the permalink.